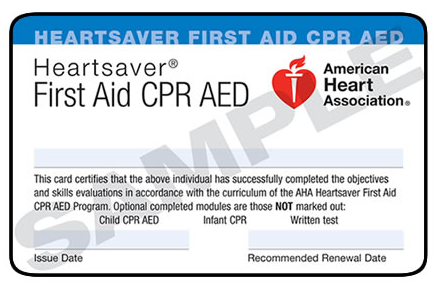 Advanced level of CPR training for individuals who have a job-related “duty to respond” to emergencies. Participants learn how to recognize and provide care in respiratory and cardiac emergencies for adults, children and infants, with special emphasis on two-rescuer CPR use of the resuscitation mask, bag-valve mask and Automated External Defibrillator. This course is especially recommended for medical professionals, physicians, nurses, paramedics, emergency medical technicians, respiratory therapists, physical and occupational therapists, physician’s assistants, residents or fellows, or medical or nursing students.